Everyone loves a good tea party! These events give us an excuse to dress up and feel proper, elegant, and young-at-heart. Now that spring has arrived, it’s the perfect time of year for a tea party. If you want to throw a tea party that the Queen herself would enjoy, keep reading! This type of tea party is the most…well…traditional. Think big floppy hats, linen napkins, and cute sandwiches and desserts on a tiered tray. This style of tea party is typically more formal and proper. A great choice for showers, birthdays, or even awards ceremonies where a bit of formality is preferred. 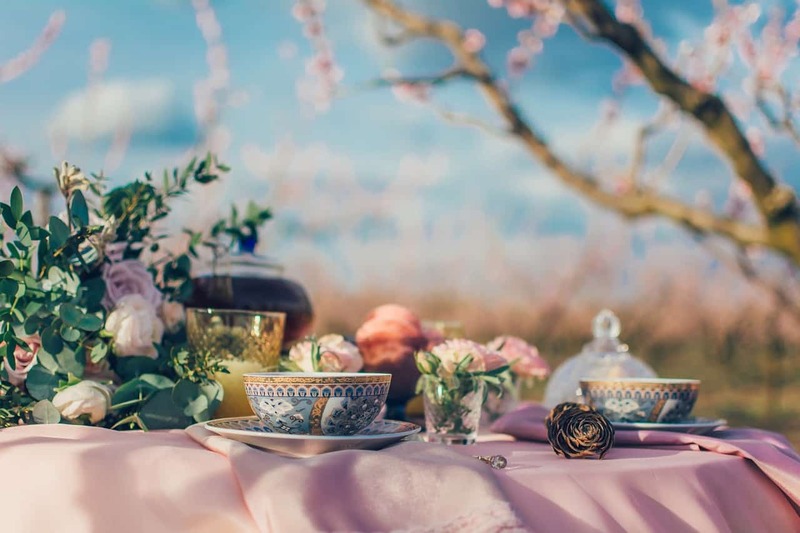 This type of tea party is perfect for spring! They are a bit less formal than traditional afternoon tea, allowing for the more organic outdoor setting of a garden. The fairy-like feel of the garden imbues the event with a whimsical and ethereal environment that is fun for adults and children alike! This style of tea party is a bit more casual and rustic. We love this style because it doesn’t require too much fuss, but can be absolutely elegant in its own way. And with the farmhouse style trending right now, your guests are bound to love it. This is a great option for busy moms who need a day out with the ladies. Whether you like to have a book club, a favorite things exchange, or share a few cocktails, a tea party is a great setting. This theme helps mom focus on dressing up and enjoying a special event together. 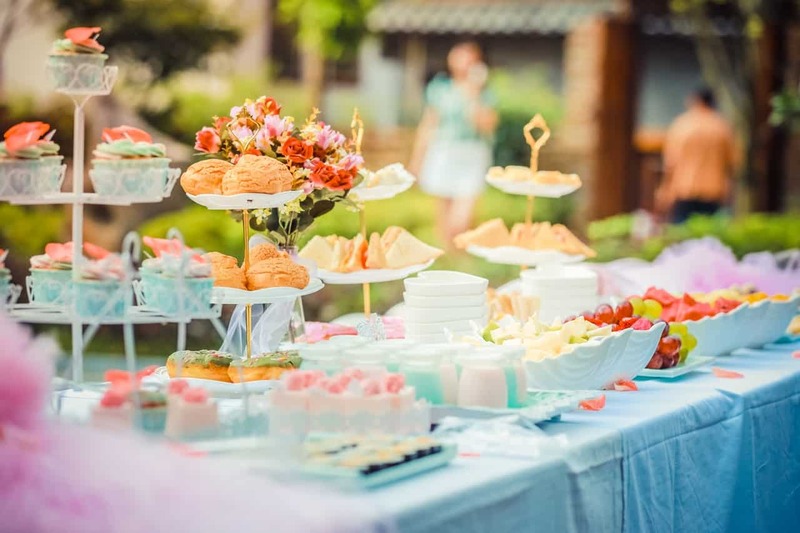 Tea parties are great events for children, as well! It’s a time honored tradition to include the younger generation at a tea party as a way of teaching manners and just to have some fun. Tea parties bring with them a sense of fantasy and imagination that is perfect for all ages. Once you have decided on your basic theme, the choice of the venue can go a long way to enhancing it. The venue will determine the environment as it acts as your backdrop. Think about formality, time of day, and weather as you make your decision. 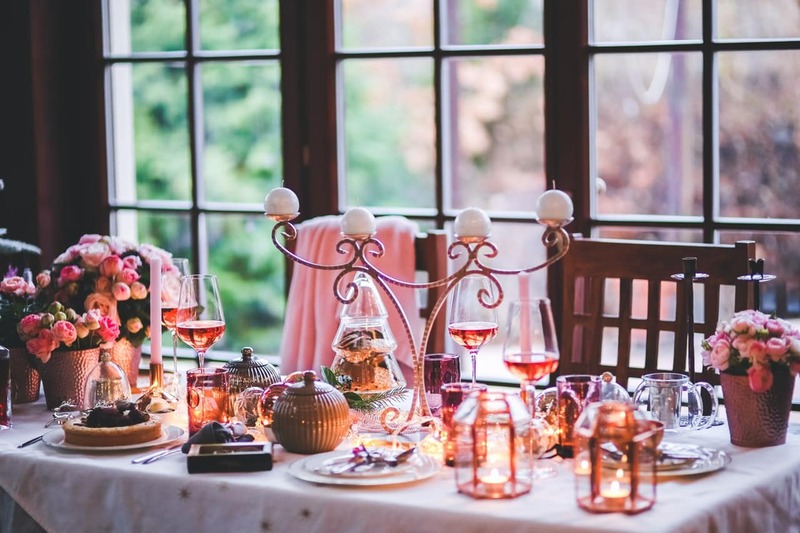 You can very well throw a tea party in your own dining room or garden. However, if you want to make it a special event, you could also rent a space. There are traditional tea rooms out there that will host and even do the set-up, food preparation, and clean up for you. It can be tempting to start picking out decorations right away. However, in order to avoid wasting money on items that ultimately do not fit the event, we recommend not rushing into this step first. Once you have a theme and a venue, the decor with organically fall into place. If you’ve gone on the internet looking for tea party menu items, you may be feeling pretty overwhelmed. There are so many types of sandwiches, soups, quiches, scones, cookies, and tarts to choose from. Where do you start? The key to choosing menu items is to rely on the choices you’ve already made. Follow the theme, choosing rustic items for a farmhouse party or kid-friendly foods for a children’s tea. If you’re having trouble choosing flavors, think about foods with colors that compliment the decorations. Most importantly, you must think about the tastes of your guests. Find out what your guests like and if any of them have any food allergies you will need to accommodate. There are lots of gluten and nut-free options that are quite delicious! There’s only so much weather, news, and gossip to go around until everyone runs out of things to talk about. How do you ensure guests don’t get bored? 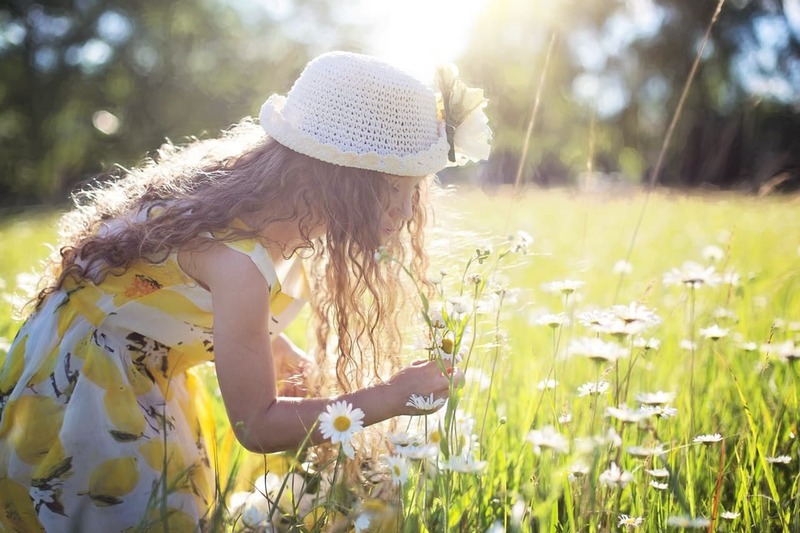 The perfect event stikes a balance of reminiscing on fond memories, catching up on present news, and creating new memories and experiences for everyone to share for the future. The party will need some kind of activity that will invite everyone to get engaged and make these new memories. This is especially important when you have children attending the party, as they need an activity to keep them engaged. This could be in the form of a game, a craft to take home, or an educational activity where everyone learns something new. These are activities that will help guests enjoy and remember the event years into the future. 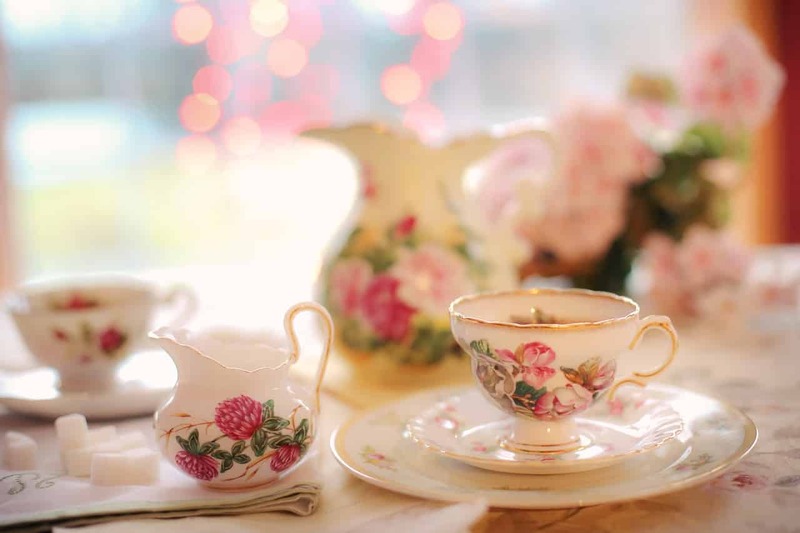 Do you feel inspired to throw a tea party of your own? What kind of tea party would you want to throw? This entry was posted in Events, General, Tips and tagged how to, Spring, tea party by joy. Bookmark the permalink.